The Lord has blessed us all with special gifts and talents to be used to bring glory to HIS name. It's our hope that this directory will help bring people together and be a blessing to others. If your business would like to be listed on this directory, please fill out the application below. If you have a gift or talent you would like to offer (that is not a business) please feel free to fill out the application as well. Skill / Services: We provide luxury limousine and black car service. We also provide transportation to and from the airport. 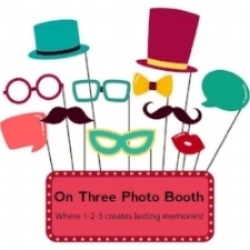 We provide fun & professional photo booth services for all occasions. We provide professional website design and search engine optimization services to fit your needs. Business Address: 8813 Miltonlease Dr. Does your bathroom need an update. We refinish bathtubs, showers, sinks, tile and countertops. All work is warrantied and insured. Call us today to schedule your bathroom facelift! Clients include Evy's Tree, Grace and Lace, Sharon Young, True Luxe Jeans, San Joaquin Lifestyles, Austin Way, Gardeaux Wigs and 3 A.M. Communications to name a few. Here at DASO Photo Booth we wanted to transfer our passion for photography into a beautiful photo booth experience. We have grown tired of poorly designed, improperly lit photo booths with low quality prints. We sought out to improve the experience as well as the quality of the print you and your guests will have for years to come. The quality of light, photo and print from one of our booths rivals that of a professional studio. Check out some of our most recent events! When you rent from us we create something that represents who you are. From the user interface, to the backdrop, to the print layout, it can all flow seamlessly and beautifully. Our booth was born out of a desire to offer a better more beautiful product and overall experience. We also offer the option of having a sit-down style booth, for more intimate occasions, or the group booth, when it might get a little bit rowdy! Let us know how we can make your event a memorable one.